Lots of photos to display for my class photo assignments. Given the fact that I have been in Denmark for most of these, it should be interesting looking back on them later, when I am back into my normal routine. Think local! There's almost always some place you might drive by everyday and think, "I should check that place out." I've been to Denmark 5 times in the last 15 months. 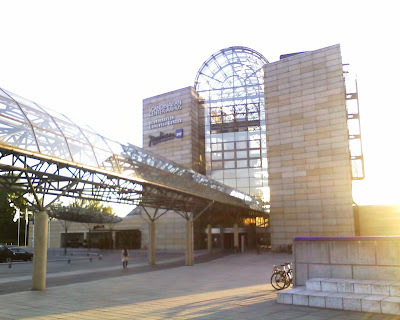 And I always stay at the SAS Radisson, which is located next to the Aarhus Concert Hall. 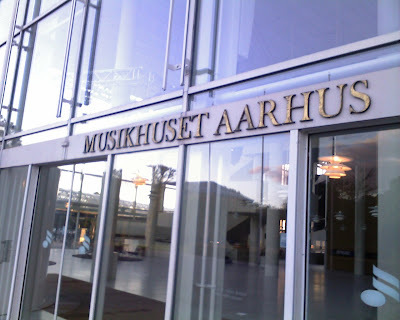 There are a ton of concerts there, both classical and contemporary. I check out the schedule on each visit, walk by and peek though the windows, but never actually go. If I was in Tucson for this assignment, I would have picked Bohemia (an artisans emporiam). It is located near Shelby's school and I drive by it multiple times a day. Everything in the store is hademade by local artists. Very cool stuff, or so I hear, as I have never been in. The street signs here in Aarhus are a little different than the signs at home. I found this one on a street near my hotel when I catch the bus each day. Instead of hanging from above, it's planted there on the corner. 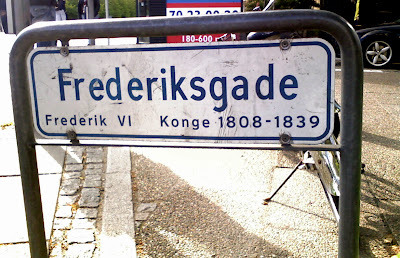 I walk by this sign and on this street all the time while in Denmark. 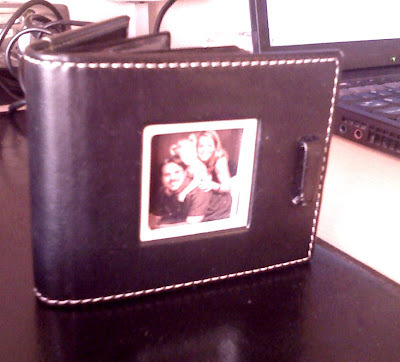 This is a picture of the little photo album that I carry with me when I travel. I obviously have lots of pictures of my family all over our home, but when I'm on the road, this is all I have! It's crammed full of all sorts of pictures of Mike, Shelby and me. I love looking at it and it makes me feel less homesick. Here's my home away from home, the SAS Radisson in beautiful Aarhus, Denmark. I have been told it's the nicest hotel in Aarhus. They have an excelent breakfast buffet. And the people who work there are super nice.